What we can do for your school event or PTA Fundraiser? 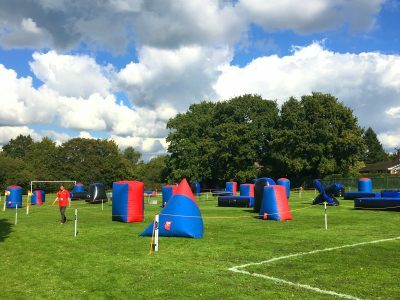 PTA – Fundraiser, a sure fire winner, we have done many of these for schools in Kent such as Sacred Heart School in Wadhurst, Holmewood House School in Tunbridge Wells, Tunbridge Wells Grammar School for Girls and many others as far afield as Buckinghamshire . Ultimately, the children that came to these events would never, ever leave the Mega Blaster Arena. All these events were sold-out and Holmewood House tickets were bought up in advance four weeks before the actual event. 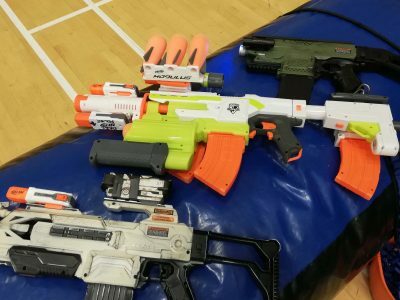 120 minutes of ‘Blaster’ fun, friendly helpful staff, a complete selection of Blasters, Eye Protection Glasses for everyone, Inflatable Bunkers, optional games plans to suit everyone. 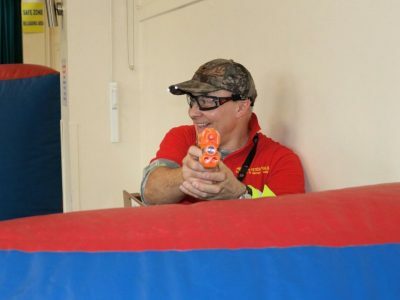 For over 10’s NERF Rival Blasters are an option, the safer and harmless version of Paintball with no bruises, mess or extra cost for ammunition! Private school events in term time also possible with planning.